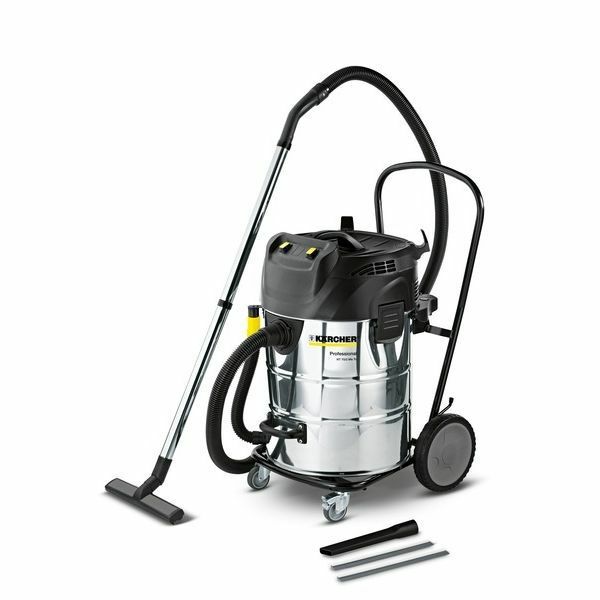 The NT 70/2 is a tough, high capacity vacuum cleaner designed for demanding professional use. With 70 litre container capacity, tough construction and high manoeuvrability, the NT 70/2 is equally suited to use in workshops, manufacturing, and vehicle valeting. The machine's two independently-switched motors ensure high suction power when required, and economy and reduced noise when only one motor is needed. The Me Tc model also features a tough stainless steel waste container that can be tilted to make emptying of dirt quick, convenient and safe.